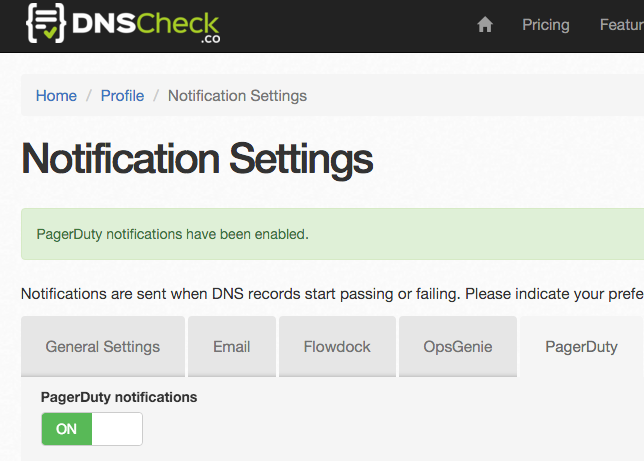 DNS Check can send you notifications via PagerDuty when DNS records start passing or failing. 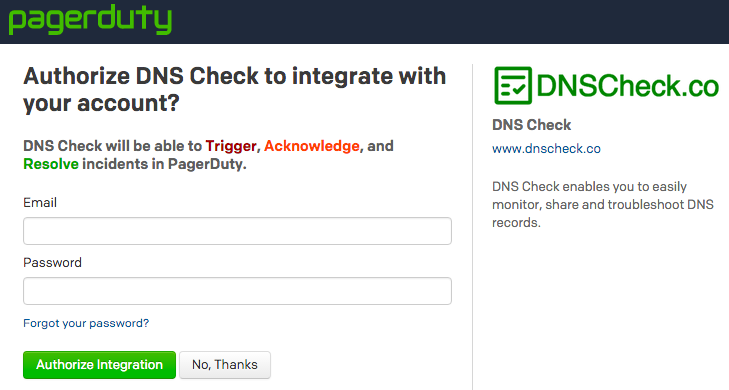 This page describes how to setup DNS Check / PagerDuty integration. Alternatively, you can click the Manually configure PagerDuty check box if you prefer to enter a PagerDuty API key directly. Notice that in the above screenshot, the Enable PagerDuty notifications field is "On". 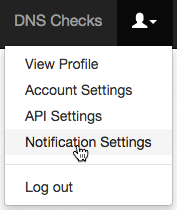 You can toggle this field off and on to disable and re-enable PagerDuty notifications at any time. Congratulations! You're now finished integrating DNS Check and PagerDuty. DNS Check + PagerDuty = Complete DNS Monitoring - a blog post which announced the integration and provides a high-level overview of both services. How to Integrate with PagerDuty: DNS Check Integration Guide - an integration guide that's hosted by PagerDuty.